– our 3 Ovida Blvd. office has moved. 5 Washington Street, Markham ON, L3P 2R3. Patient parking can be found at the Markham Community Centre; across the street just south of highway 7. The Lynde Institute for Dermatology is a unique, full-service clinic dedicated to medical excellence. The clinic was founded by Dr. Charles Lynde, and it is recognized for offering some of the most advanced and comprehensive skin care solutions. We offer many on-going clinical trials in all areas of dermatology―for more information please click here. Dr. Lynde is a board-certified and well-respected dermatologist, with an international reputation. He is the Chief Medical Director of the Lynde Institute for Dermatology and Lynderm Research Inc.
Dr. Lynde has authored and co-authored over 150 peer-review articles. 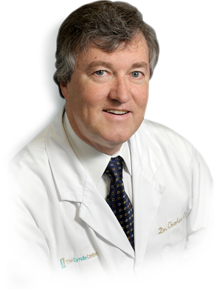 He has held various posts at the Canadian Dermatology Association and the American Academy of Dermatology, and has recently been awarded the Award of Merit by the Canadian Dermatology Association. In addition to Dr. Charles Lynde, we have a number of other board certified dermatologists as well as doctors with a specialization in diseases of the skin. Our complete physician list and contact information can be found here. Our clinics are located in Markham, Ontario. We are open Monday to Friday from 7:30am to 4pm.